Slowly but surely, women are changing the art world’s traditionally patriarchal landscape. We talk to three experts who are helping to drive change and shift perspectives from the inside out. Co-founder of Hauser & Wirth, Manuela Wirth is one half of an art-world power couple helming a global network of nine galleries. As one of the world’s most influential gallerists, she’s been a pioneer of championing female-made work for decades. Tell us about your female artist programme. We’re very proud of the fact that we represent more women artists than any other gallery — we started working intensively with women artists long before it became a fashionable talking point. One of the most radical female gallerists, Pat Hearn, introduced us to the work of Louise Bourgeois, Mary Heilmann and Eva Hesse very early in Hauser & Wirth’s history. But really the origin of our in-depth focus on women artists goes back to my mother, Ursula Hauser. Her “discoveries” often found their way into our programme because we also loved the work and wanted to support it professionally. This way, strong women artists, particularly those that have been underrepresented, became an important part of our DNA. 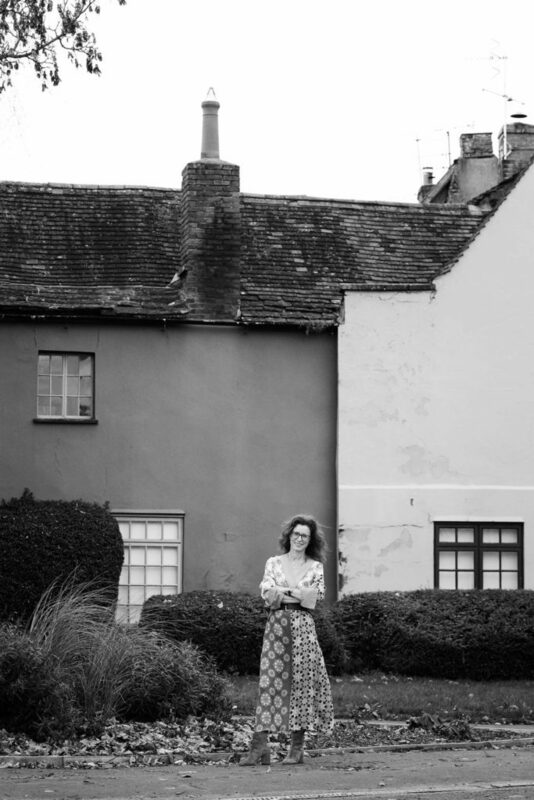 In May, we’re celebrating my mother’s 80th birthday by hosting an exhibition of her [all-female] collection at our arts centre in Somerset, UK. Women artists are still sorely underrepresented in museum and gallery shows, so it’s important to me that we use the international platform we have to give voice to their work. Who are some of your female art heroes? The ultimate for me is Louise Bourgeois. She was one of the past century’s greatest artists, while at the same time a mother to three children, a wife and a profound thinker. I have admiration for the many women that have juggled family roles alongside a robust artistic practice. Phyllida Barlow is another artist who falls into this category, and her work only became known internationally when she was in her sixties. She quickly grew into one of the most important artistic voices in contemporary art, and even represented her country, Great Britain, at the last Venice Biennale. Ida Applebroog is another wonderful artist. Other women artists that have had a profound impact on me personally include Isa Genzken and Roni Horn, who each show great commitment to their creative practices, and the issues they deal with in their work mean a great deal to me. How do you see the art world addressing the current imbalance in the representation of male and female artists? I hope that we’re now living in a time where this balance is being readdressed, and that the art market will soon catch up. I have to believe that women artists aren’t equally represented currently purely because the historical canon favoured men, so the legacies of their female counterparts are not so widely known. This is certainly something we’re working to address by representing many female estates, such as those of Eva Hesse, Maria Lassnig and Geta Bratescu, and by commissioning new scholarship and publications devoted to their work. What’s it like to run a global gallery network alongside your husband? How does your partnership work? Iwan and I have been working together for 27 years. We have a shared vision and agree on almost all big decisions, but we also have complementary skill sets. Iwan has always been very spontaneous and is guided by intuition, and it’s this creativity that keeps us on our toes and constantly innovating. By nature I’m more calm, shy and rational, so I help nurture his ideas and shape them into practical plans. Having four children keeps us very grounded and disciplined. Since 2000 we’ve been joined by Marc Payot, our third partner. We feel privileged to work with artists, makers, thinkers. Nowhere else in the world do you meet so many brilliant and interesting people as in the art world. People have written plenty about the dominant Male Gaze but is there a specific way you would define the Female Gaze? I don’t know that the Female Gaze can be singularly defined, but in the women artists I’m drawn to I notice a predominant theme in that their investigations stem from their own psychological experience, or focus on exploring the capabilities and limitations of their own body. For example, Alina Szapocznikow made casts of her own body parts, Mary Lassnig developed her concept of “body awareness” painting to explore how her mind perceived her physical presence in the world, Luchita Hurtado literally looked down and painted her own body as she observed it from above, and Louise Bourgeois used her art to work through her emotional trauma. I find this makes for a more charged and meaningful practice than depicting more “passive” subjects. What excites you about the Louise Bourgeois show? 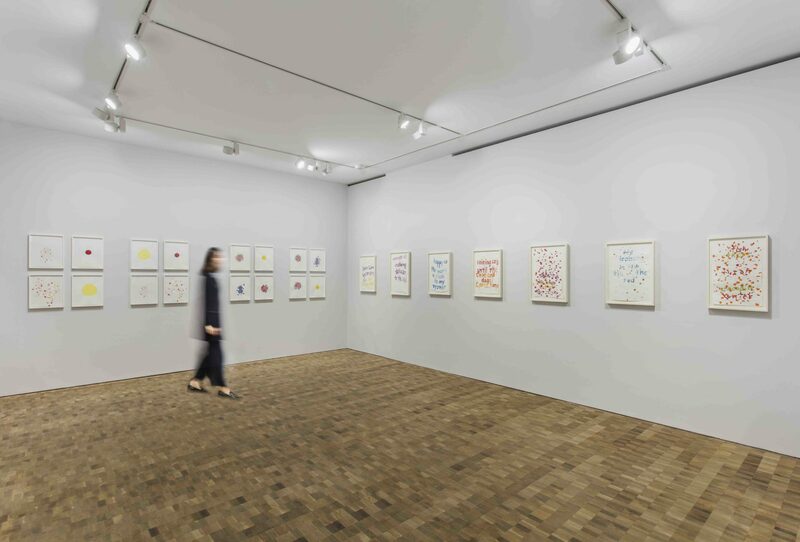 Our exhibition of Louise Bourgeois in Marchis the first solo exhibition to offer her work in Hong Kong. It will introduce visitors to the overarching themes of Bourgeois’s practice, such as the pull between representing the world around her and her psychological realities. We’ll focus on the final two decades of the artist’s life, and show fabric sculptures, prints, sculptures, and rarely exhibited holograms. The exhibition coincides with Bourgeois’s first large-scale museum tour in China, The Eternal Thread, presented at the Long Museum, Shanghai, and the Song Art Museum, Beijing. 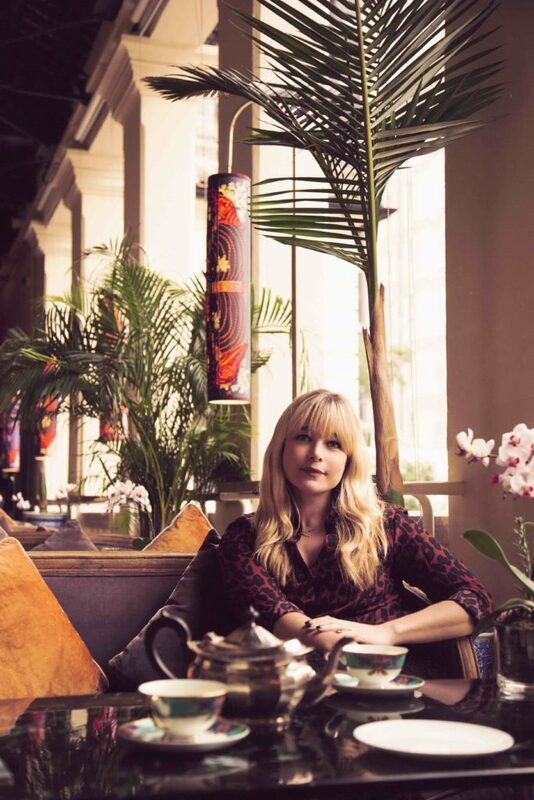 A contemporary-art expert and British television presenter who once lived in Hong Kong, Kate Bryan is a curator and art historian who joined the Soho House group in 2016 as head of collections. She’s visiting Art Basel Hong Kong with an eye on acquiring pieces for this city’s Soho House, which opens later this summer. You’ve been coming to Art Basel since you lived here. How do you feel it’s evolved and what do you enjoy the most? It’s been an incredible catalyst for the city. I was there from the very first fair and remember being so overwhelmed by the number of kids who came at the weekend. It’s amazing to think they’re now maybe teenagers interning at Tai Kwun. I lived in Hong Kong for four years and left for London in 2011, just as things really took off. Returning to build a collection for Soho House that really speaks of the city and the local artists is such a privilege. Who are your female art heroes? Judy Chicago, not just for her pioneering Dinner Party but for her work as an art educator and great thinker. Frida Kahlo, because I’m only human. And Jenny Holzer — I’m amazed that I agree so much with a woman I’ve never met. You’ve championed women artists for many years as a curator — how and why did this happen? About eight years ago when I was an art dealer I read some shocking statistics about the under-representation of women in the contemporary-art world. After a quick inventory of my own artists’ stable, I realised I was showing nearly 50 percent women and had this huge feeling of relief. But I realised that much more needed to be done. Being silent and inactive is a way of being complicit. Historically, women had a hard time becoming artists but many people don’t realise we haven’t come that far. In North American and European museums it’s said that work by female artists accounts for less than 5 percent [of the total]. One of my favourite young British artists, Sarah Maple, has a piece that reads “Inaction is a weapon of mass destruction”, and it’s so true. I acquired that piece for Soho House in London the second I saw it. How do you address this in your role? When I became the head of collections for Soho House, it was an amazing opportunity to acquire female work but also to make an important dialogue happen. A big initiative was Vault 100, on permanent display at The Ned London in the heart of the City of London — the financial district we associate with patriarchy. I used loaded connotations of the area to make a point about gender inequality and how it affects the art world. Taking the FTSE 100 CEO gender ratio, which was 93 men and only seven women running top UK companies, I inverted it so that we acquired 93 pieces by female artists and seven by men. The response initially was crazy — people genuinely asked me if they were 93 great women artists in London. It felt so good to prove them wrong! We have work by Tracey Emin, Jenny Holzer, Helen Marten, Sarah Lucas and Lubaina Himid, as well as more emerging artists. It makes me so proud. There are more female artist-themed shows, but do you think this will move towards thematically organised exhibitions where artists are female? How do you strike that balance between supporting and fetishising female art in 2019? This is such an important point. There’s not much point in creating a female ghetto, the original feminist artists in the ’70s realised this. There has to be one art conversation with everyone in it. That’s why I shied away from curating all-women shows when I was an art dealer. I felt that selling women together was insensitive to their practice — they aren’t women artists, they’re artists. As a curator I hope I can create that opens, liberal contemporary and non-gendered context for the work rather than a female art theme. How do you feel about the current representation of women, their viewpoints and curation in the field? I’m really optimistic about the growing status and visibility of women at the very top of the art world that will undoubtedly have an impact. Frances Morris runs a very progressive exhibition programme at Tate Modern and Maria Balshaw became the director of all the Tate Museums, making her the first meal director of a national museum in the UK. Nancy Spector occupies a very senior position at the Guggenheim and even the Vatican Museum now has a female director. It’s extremely important that women are decision makers as well as men — it’s already affecting what’s being shown, validated and therefore sold. 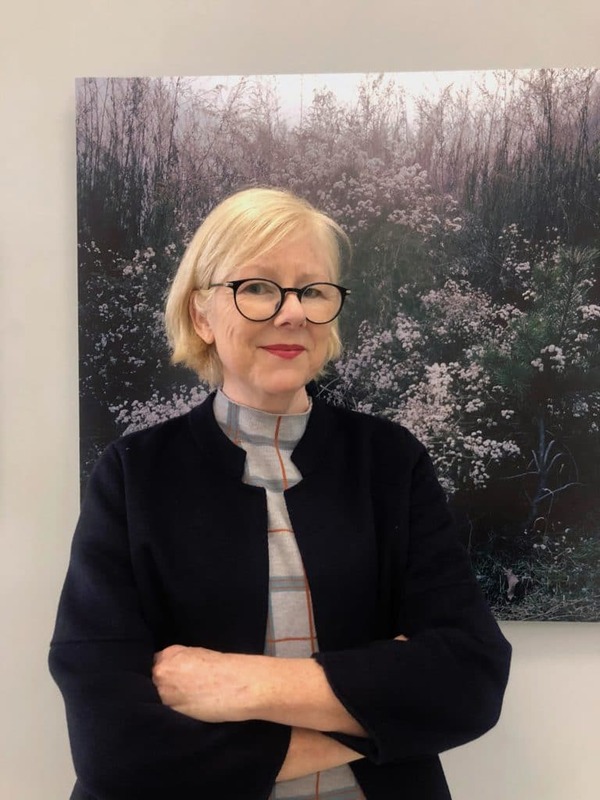 Director of Ocat Xi’an contemporary-art centre and art director at Shanghai Center of Photography, Karen Smith is an expert in Chinese contemporary art and a writer and curator with decades of experience. She’s lived in Beijing, Shanghai and Hong Kong, overseeing the rise of the Greater China art scene and its greatest names. You’ve worked extensively in Chinese art. Tell us about how accepting the industry has been with female curators and artists. It has in terms of how many of the galleries who contribute to the scene here are [run by] women – beginning from critic and curator Liao Wen in the 1980s, the writer Tao Yongbai and younger individuals such as Sun Ning, who was effectively one of the “founders” of Beijing’s 798. But perhaps it’s still true that male counterparts aren’t confident enough to feel comfortable working with women curators to allow them to rise up beyond being underlings. Tell us about projects you’ve worked on that focus on female artists. I’ve done several projects — solo exhibitions such as Qin Jin’s I Wish I Could Be Your Companion for a Longer Time [Magician Space, Beijing 2009]; Miss P [Peili, Platform China, Beijing 2011]; and more recently solo projects for Qin Jin, Carol Lee Meijuan Carol Lee Mei Kuen, Liz Hingley, Ma Qiusha and Peili at Ocat Xi’an. This year we have more coming at Ocat – Hao Jingban, Wu Di, Xiong Wenyun and Edy Ferguson. At the Shanghai Centre of Photography, we’ve had Anna Foxand Karen Knorr, and Gan Yingying and Wang Yingying. It’s important that women support women. I dislike the fact that society today is in a position where we still need to make women a conscious focus. You’d have hoped by now that we’d have achieved a state of natural equilibrium. But since we haven’t, I do what I can as far as possible to support women artists clearly deserving of opportunities. There are more “female artist”-themed shows, but do you think this will move to thematically organised shows that feature female artists? How would you strike that balance between supporting and fetishising female art in 2019? This will continue to go in cycles. The argument is found in facts of how short a memory the human race possesses; we adjust to new situations, we integrate and then socio-political and economic situations change and old ideas remerge as we fall back into default modes of self-preservation which require the putting down of one group to favour the social status of another. So, yes, we need these kinds of shows from time to time to remind us of better modes of thinking via-a-vis our less egalitarian proclivities. Personally I try not to put “women” in front of every description and discussion, and instead keep talk focused on the work. To reference to what makes an art work compelling may or may not be related to gender, or the gender of its author. It’s important not to create new divisions by suggesting that women should receive exceptional treatment. How was this dealt with in China in the rise of its contemporary scene? In the 1990s, women artists in China felt extremely uncomfortable being corralled into all-women shows. They didn’t want to feel marginalised, or separated from the wider art scene, even though they were often marginalised within it. Shows happened — the attitudes of the largely male critics were supportive but condescending at best. What was lacking then was a really good public media platform that could debate the fact that artists like Lin Tianmiao and Yin Xiuzhen were breaking moulds and boundaries, and making art that was at the very least as progressive as the next contemporary [male] artist in China. Each generation has produced outstanding women artists in China. The more opportunities that women have to show their work the better. All artists have to know how to handle relationships with curators who may or may not have their own agenda. You can only be fetishised if you let yourself be. Is the art world consciously moving to address the gender imbalance? Should it? Yes, and yes. The art world ought to be as liberal and permissive in its thinking as it must be open to creative and innovative activities and ideas. If we really believe that art speaks to people, and is able to convey human ideas and experiences across borders and boundaries, then we’re bound to contend imbalance whenever and wherever we encounter it. Generally, Agnes Martin, Sarah Lucas; here in China Cao Fei, Ma Qiusha, Peili, Ju Ting, Wu Di and Alice Wang. Jing has lived in the UK, Beijing, Hong Kong and Shanghai, and now splits her time between the latter two. Despite studying psychology and anthropology, she has worked in media, magazines and newspapers for over 12 years, covering fashion, culture, arts and design, and social issues. Having developed an expertise in Asian creative industries, she's a regular speaker/moderator at forums and events around the world like the Australian Fashion Summit, Fashion Asia and Inside Retail. She appreciates living in extremes and is just as comfortable in luxury spaces as gritty streets. When she’s not working, discovering or globetrotting, she’s reading escapist novels with a glass of red in hand.